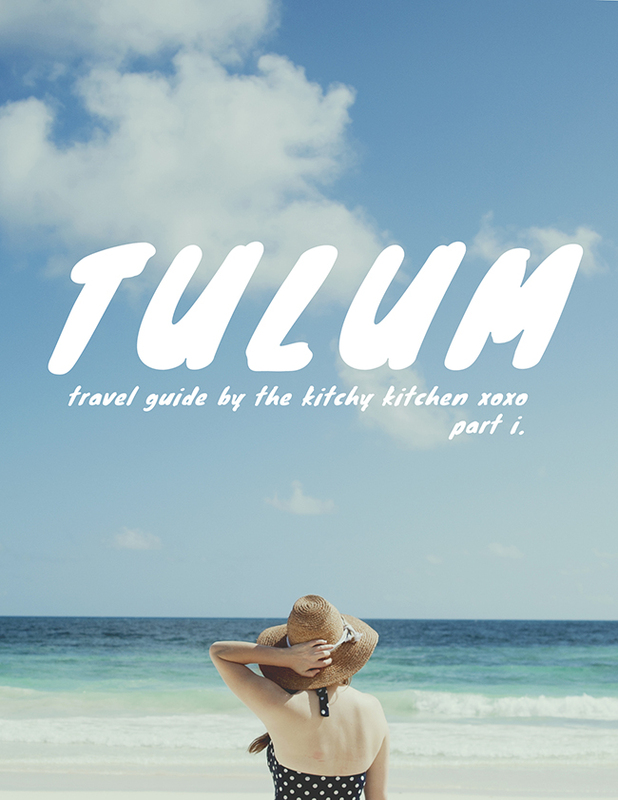 Beach, ruins, sun, jungle, glorious food and beautiful -very beautiful- people, these are just a few draws to the lovely beachside resort town of Tulum.? ?Resort town? 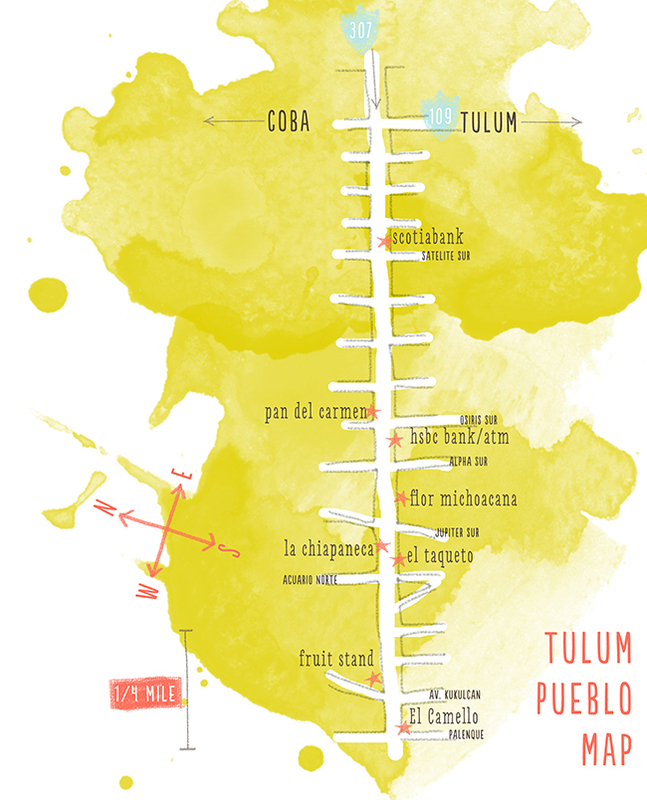 conjures up images of Cannes or Lake Como or Playa del Carmen, which incidentally is only about 45 minutes north of Tulum, but Tulum is its own kind of resort town.? It?s a twelve kilometer strip of beach, hotels, and restaurants but there?s a ?glamping? 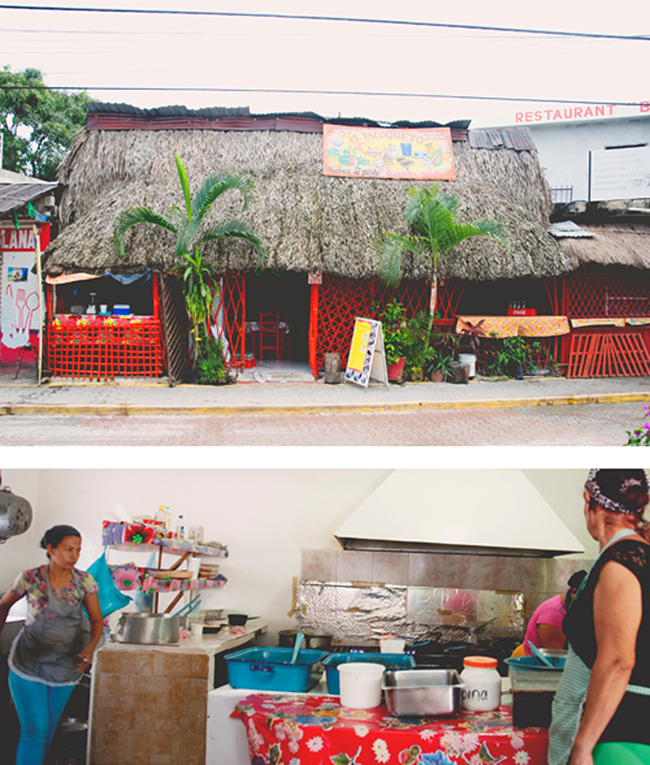 quality intersecting with the charm of a small Yucatanean pueblo. It?s a place where luxury and earthiness coexist. In truth, there are two Tulums.? 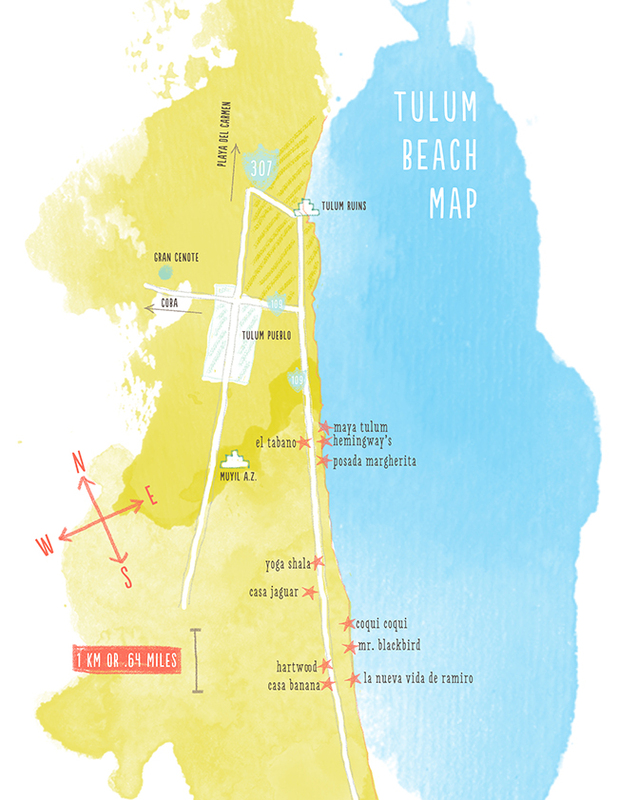 There?s the Tulum on the beach, with the eco lodges, yoga, $100 (and beautiful) dinners, and models.? SO MANY MODELS.? It?s like every model/photographer couple from Venice and Brooklyn was on vacation.? It?s a bit depressing, but the tequila and ceviche do wonders by way of distraction.? 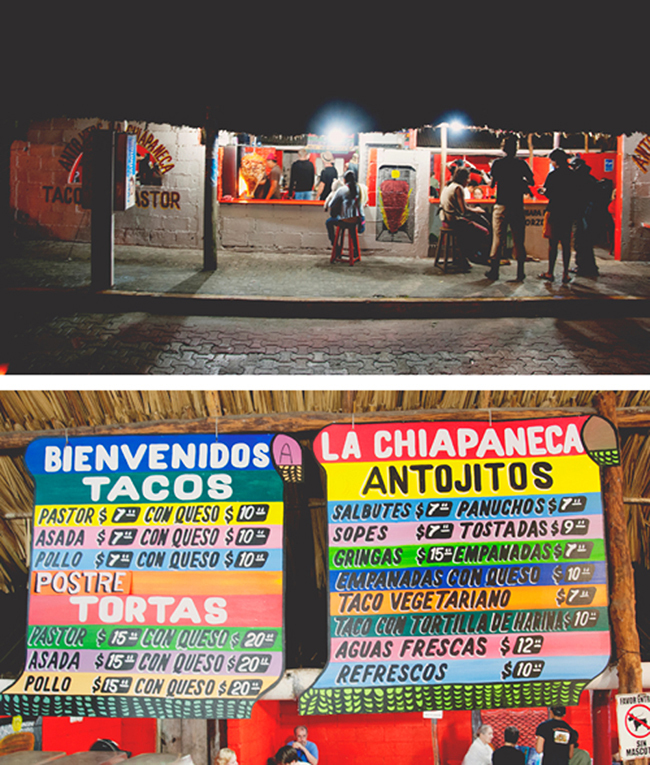 Then there?s Tulum the town, which has a feast for $10, street dogs roaming for scraps, hostels and gift shops, and the best el pastor tacos I?ve ever had.? 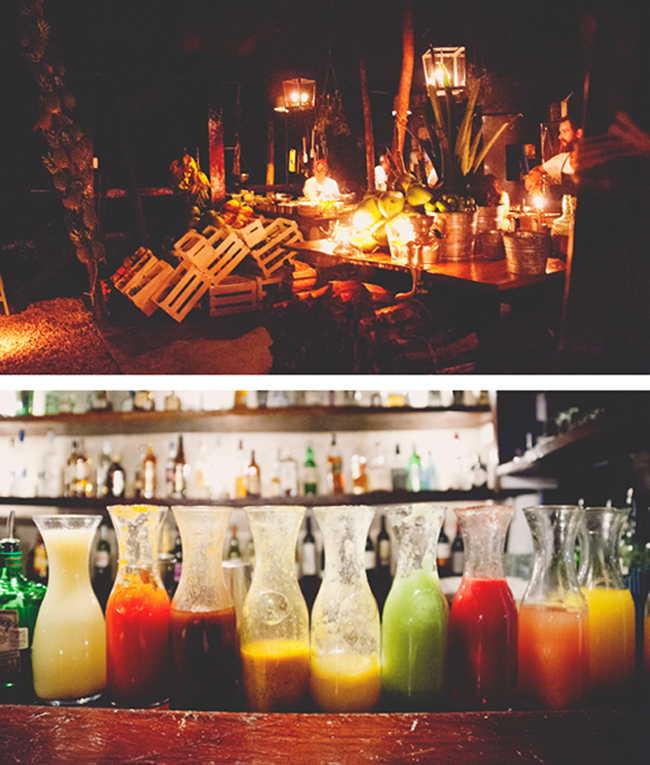 It?s an unexpected mix, and if you end up in the wrong places at the wrong time it can feel a bit like Cabo and Coachella had a baby, but if you travel to Tulum with some self awareness and an expectation of moving at a slower pace, you?ll have a fabulous time. Stick to the places with the longest lines. If they?re popular, then they aren?t getting people sick regularly. Also look for older, professional types.? Doctors, lawyers, and cops can?t afford to get sick from street meat, so they?ll be conservative with where they get their street food.? Teenagers, on the other hand, play more fast and loose. Look around: Does it look clean? Is food left sitting around? Use your eyes and nose to tell you if the food looks good to you.? If you?re apprehensive, just walk to the next cart.? Better safe than sorry! Water/Ice: Potable water is an issue in Mexico, so if you?re buying a respado (shaved ice) or an icy drink, make sure it?s from a place that uses filtered water. Have a plan:? 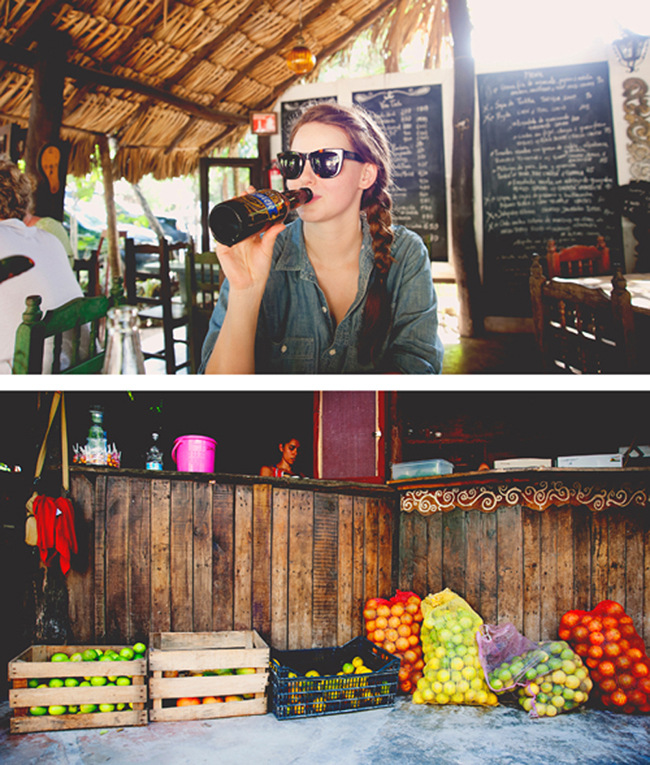 I?m a research nut, so I looked up street food spots in Tulum that my favorite food writers and publications recommended.? It makes the hunt so much easier! Like I mentioned before, there really are two Tulums.? 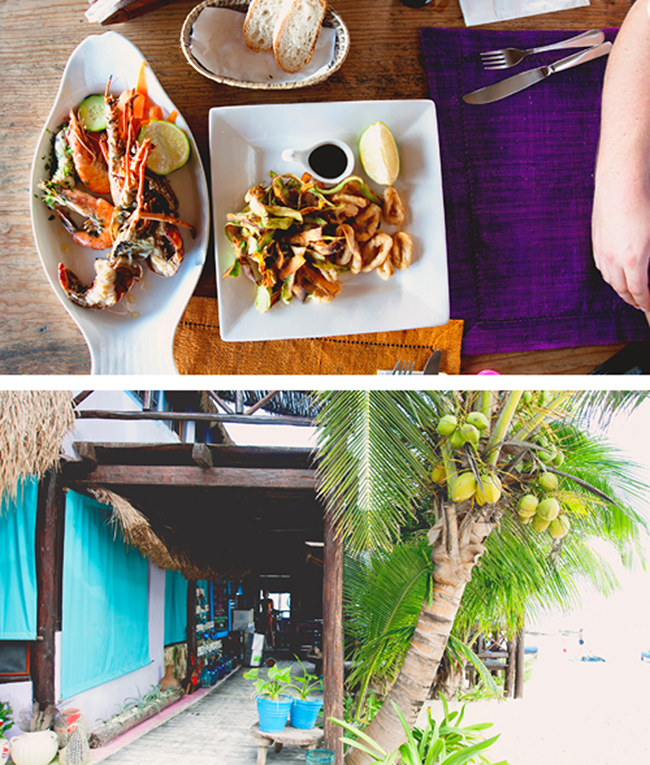 Tulum on the beach is more like a resort town, with $100 dinners, wine lists, and open air jungle side restaurants.? 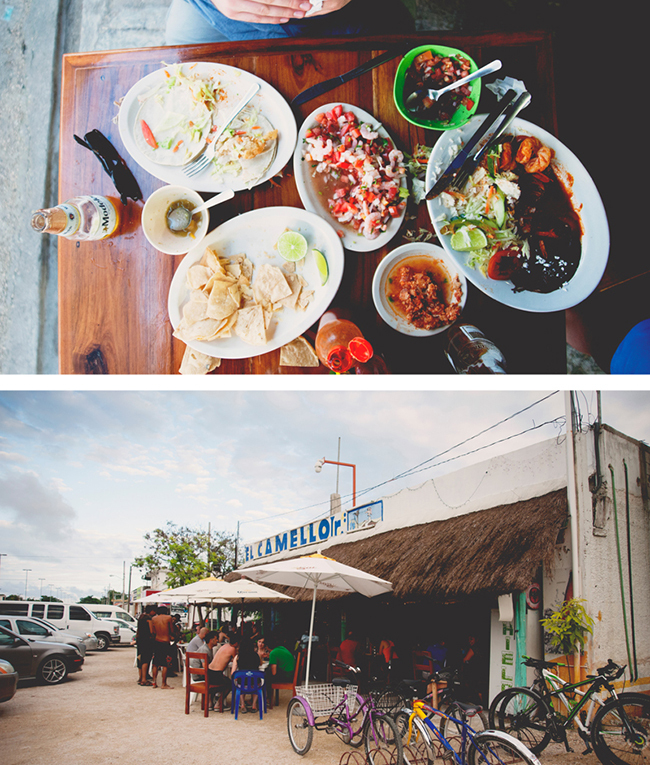 Tulum the town has $10 dinners, beer, and hole in the wall joints.? Both are great, but very very different. Note: For the beach restaurants, always try to make a reservation.? During the high season it?s not uncommon for there to be hour plus waits for tables.? Some spots, like Hartwood, don?t take reservations, but it?s always worth asking.? Also, friendly reminder that most places are cash only! 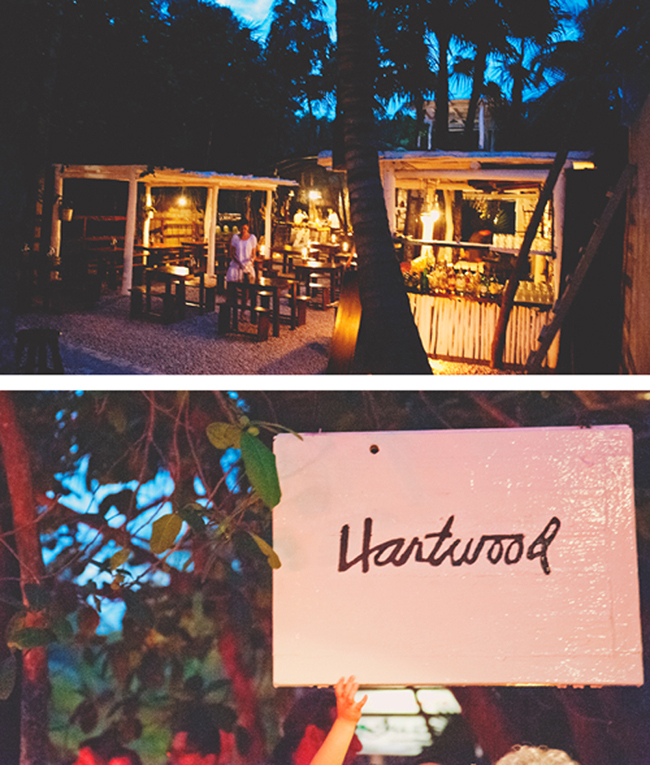 Hartwood: This is the restaurant in Tulum. Beautiful local food made with fresh ingredients, delicious cocktails, and the nicest staff makes this everyone?s favorite. Line up at 5:15 if you want to be part of the first seating, but don?t stress if you miss the first wave. You can order spicy margaritas (the best!) at the bar while you wait. Order a fish dish (I got the hero, a local fish wood fired and served with jalape?os), the roasted beets, and the rib eye.? It?s all wonderful though. Casa Banana: Delicious passion fruit margaritas where I switched out tequila for mezcal and solid Argentinian fare. The sampler had delicious empanadas and spicy olives, house cured meat, etc. The Bife de Cuadril, an uncommon cut in America but delicious Argentinian cut of meat, was delicious especially smothered in chimichurri. El tabano: I wish I had tried the Veracruz mole, but the camarones en mantequilla de habanero were perfectly succulent and not too spicy. Habanero is the pepper of choice in the Yucatan and though it can carry an intense burn, it?s used with a delicate hand.? The heat is there, but not in the way of the softly floral and vegetal flavor of the peppers. Casa jaguar: For an intimate dinner, ask to be seated on the rooftop, overlooking the whole restaurant.? The cocktails are gulp-ably good, and the tunes are a lovely indie rock mix. There?s a slight Asian and Indian bend to the menu, but honestly, the best dish was the ceviche. Fresh, bright, spicy, no b.s. Red onion, jalape?o, cilantro, cucumber, and lime. Coqui coqui: Too freaking chic! 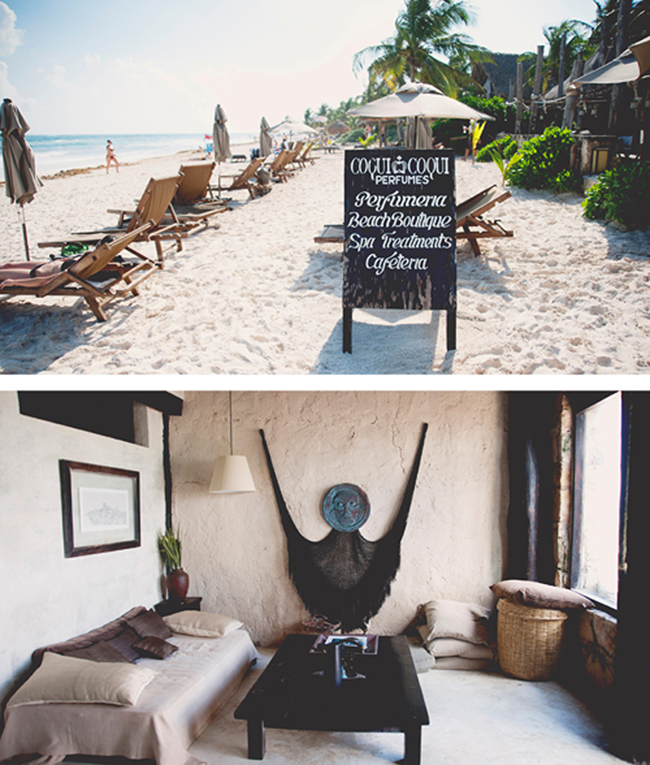 If I go back to Tulum, I?m staying here. Beautiful, neutral, textured spaces. 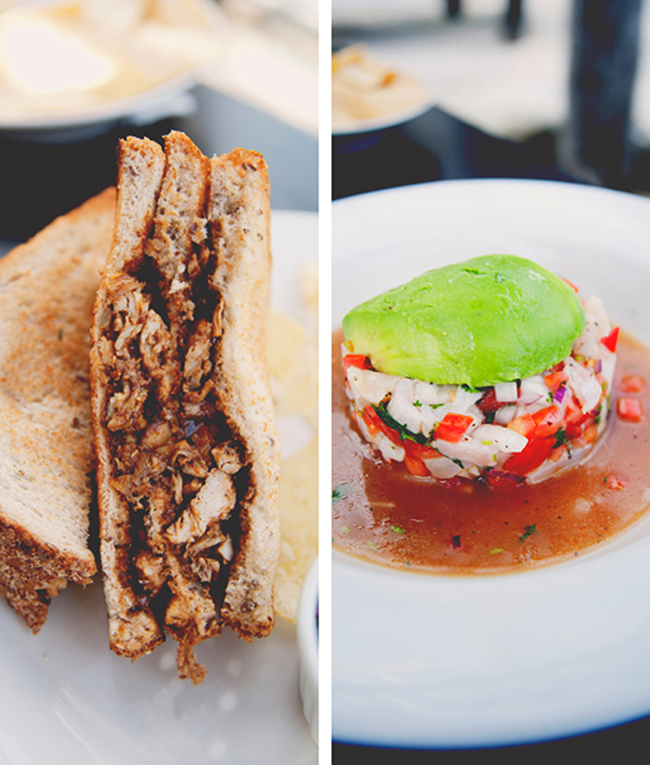 Amazing food: a mole chicken sandwich served on whole grain toast takes deli chicken salad sandwiches to another level. 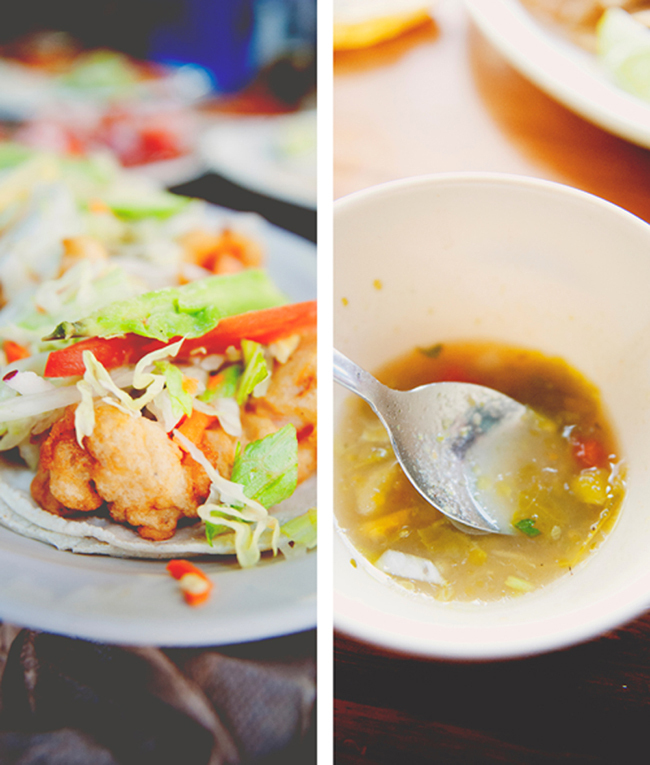 Ceviche is delicious but was immediately improved when we covered it with habanero salsa. The refreshing water with chlorophyl and mint was as described and perfect on a sunny day. 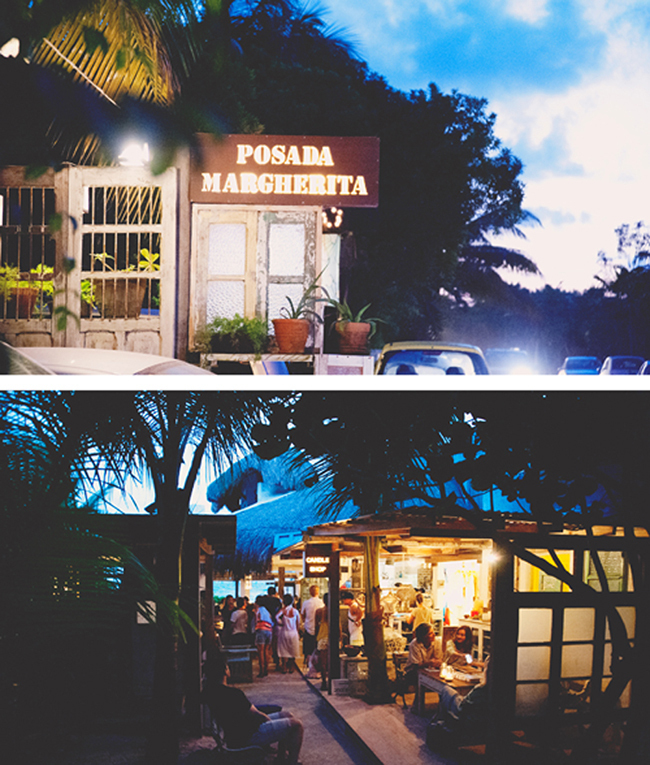 Posada Margherita: This super romantic, candlelit, bustling restaurant buzzes with conversation and plenty of wine. 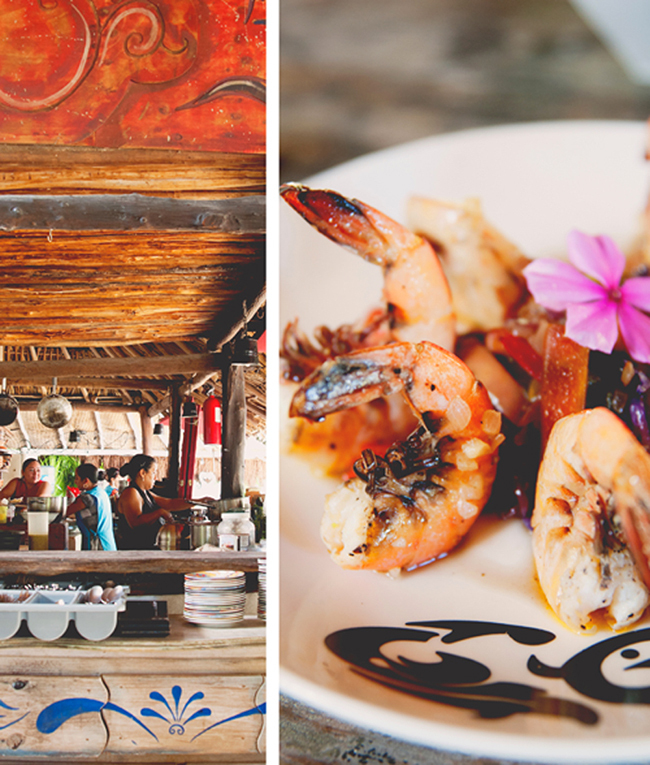 The aesthetic is rustic, shabby chic meets hacienda, and unlike the other popular restaurants is on the beach side overlooking the ocean. There?s a super tiny menu (3 pastas, 3 fish dishes, 3 shrimp dishes) and the pasta is made fresh by hand to order, as in they start mixing it when you order it. We got there at 5:30 and there was already a 45 minute wait for a table for two, so make sure to put your name down early.? They actually started turning people away by 6:15 because there was no chance of them getting seated. 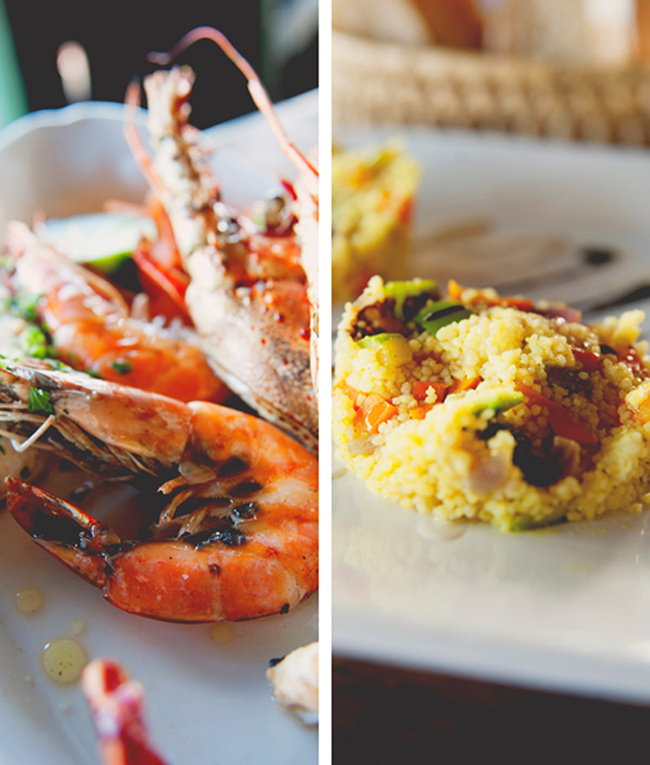 I ordered the fish cooked in sea water and the shrimp, tomato, basil, pine nuts, zucchini, fresh pasta. The pasta is cut fettuccine style, which is a shame. I would?ve preferred large ribbons to really soak in the texture and flavor. But the fish cooked on sea water was subtle, delicate, and buttery soft. I liked if more and more with every bite. Also: Sting and Trudy sighting! 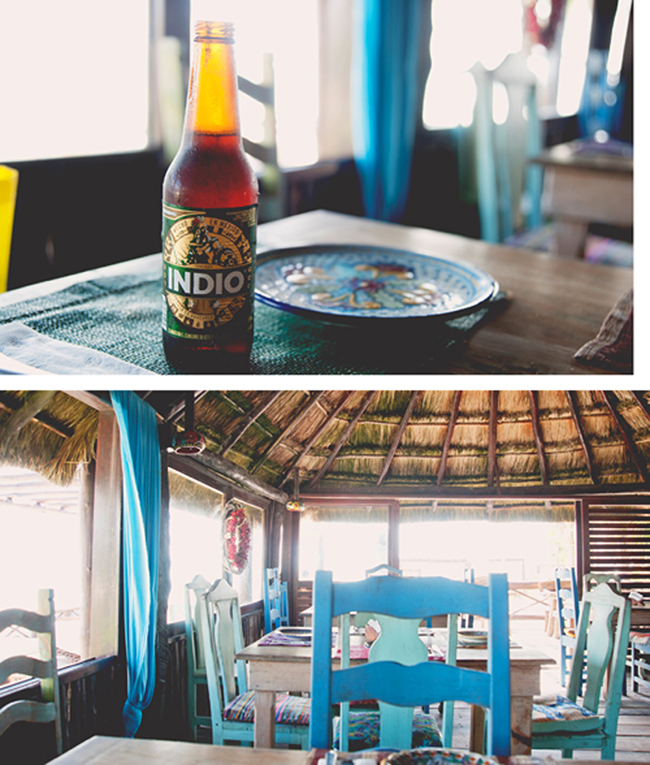 Hemingway?s: Second to Coqui Coqui, this was my favorite lunch spot along the beach.? The ingredient delivery was running late, so they only had grilled lobster and vegetable tempura to serve.? Bummer, right? (I hope my total sarcasm comes through here).? The food was delicious and light, the view was gorgeous, and the tiny room (it only has 5 tables) is painted a vivd blue.? Like with everywhere else, come early to snag a table. El Tacoqueto: This is the epitome of mom and pop cuisine.? You walk to the back and pick out a main from a choice of 5 or 6 dishes.? Just point?and the servers will figure out the rest.? 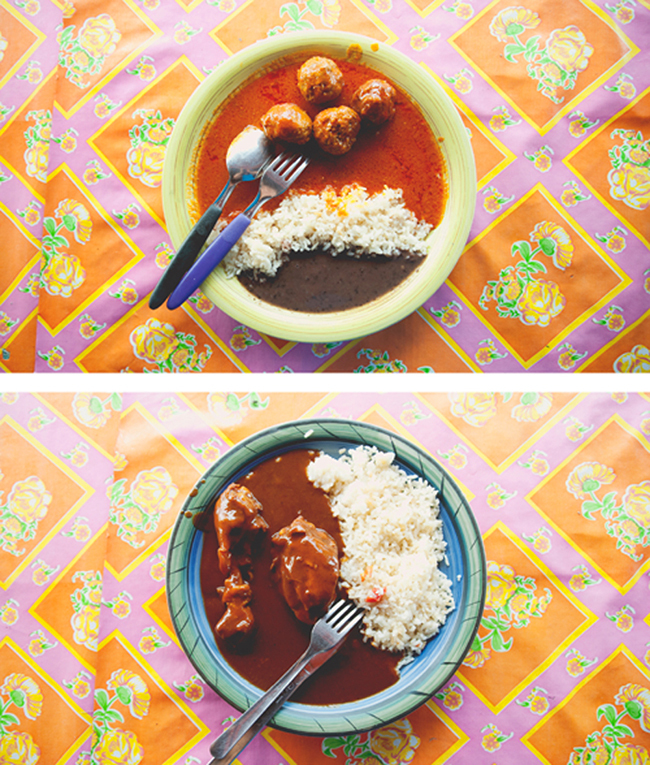 Make sure to try to abondigas en chipotle (meatballs in chipotle sauce) or pollo con mole (chicken in mole sauce) if it?s there. The salsa is nice and hot, they serve everything with rice, beans, and a pile of tortillas, and the staff is just the sweetest. 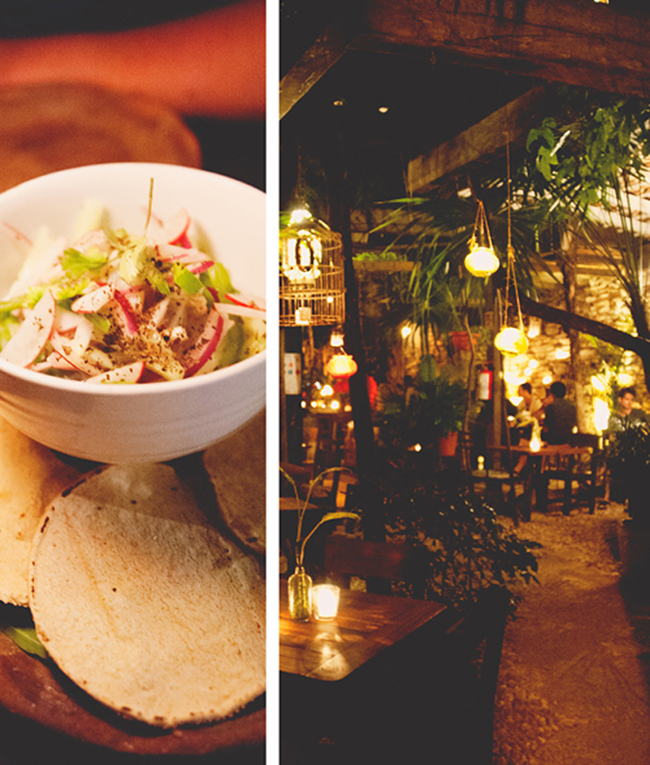 El camello: This is ceviche-town. Order a small, as the portions are massive, and get as much of their homemade habanero salsa as they can spare.? They fry the habaneros and mash them with tomato and lemon ? it?s divine.? 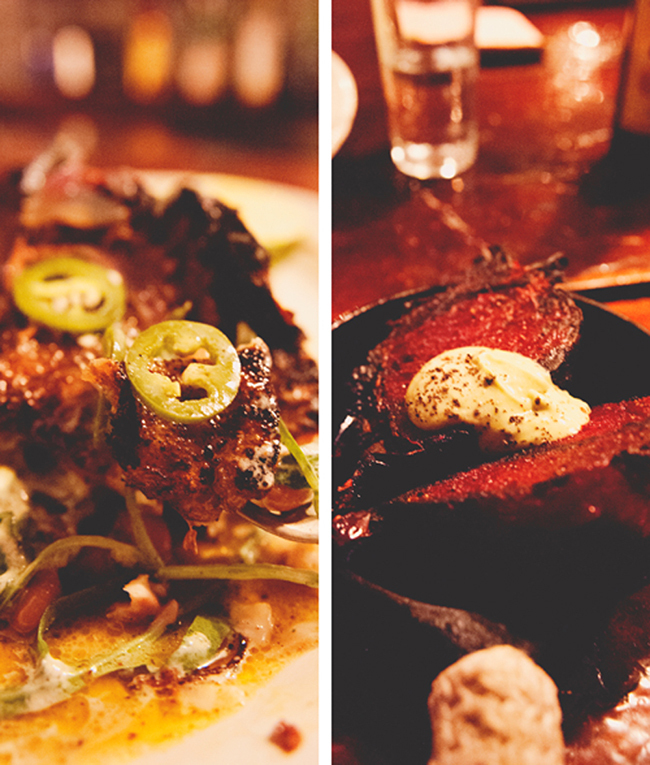 Also delicious were the camarones ala diabla and tacos. If you?re lucky, there?ll be a street cart serving fresh waffles smothered in cajeta right outside ? the perfect dessert! La Chiapaneca: GO! Why are you still reading this? Go and order tacos! Not to be too ?run don?t walk? about it, but these are seriously the best al pastor tacos I?ve ever had.? 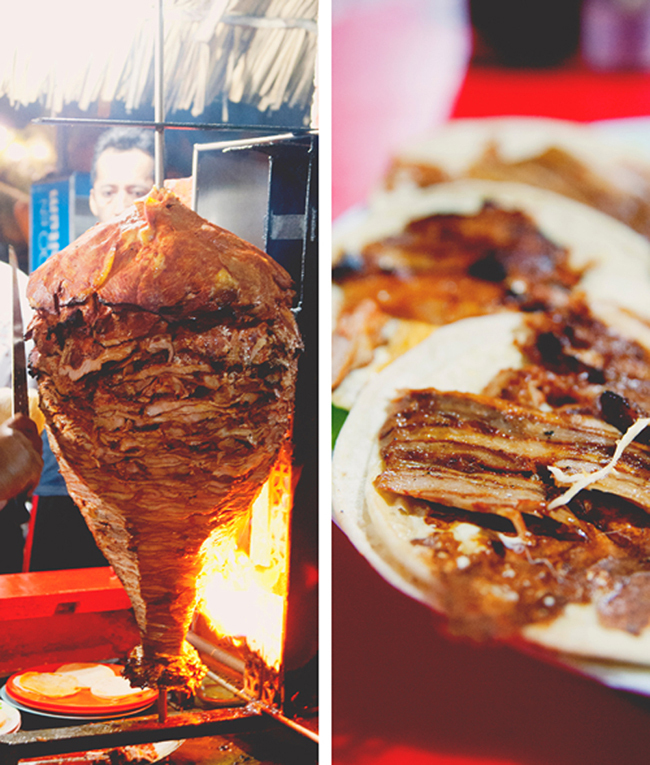 Al Pastor is when beef is cooked on a spit, rubbed in chili with some pineapple on top, and thinly sliced, much like a gyro; it?s as amazing as it sounds.? Tying with the al pastor tacos for the best bite of the trip is the carne asada torts, which tastes like a Mexican version of an In n Out burger.? Just imagine it: chopped carne asada on a torta bun with gooey queso, cabbage, jalape?o, pickled carrot, mayo, and a touch of what I think is thousand island dressing (?).? We ordered one, annihilated it, then ordered another.? It?s worth mentioning that 4 tacos, 2 tortas, 1 sope, and a giant horchata came out to under $10 including tip. 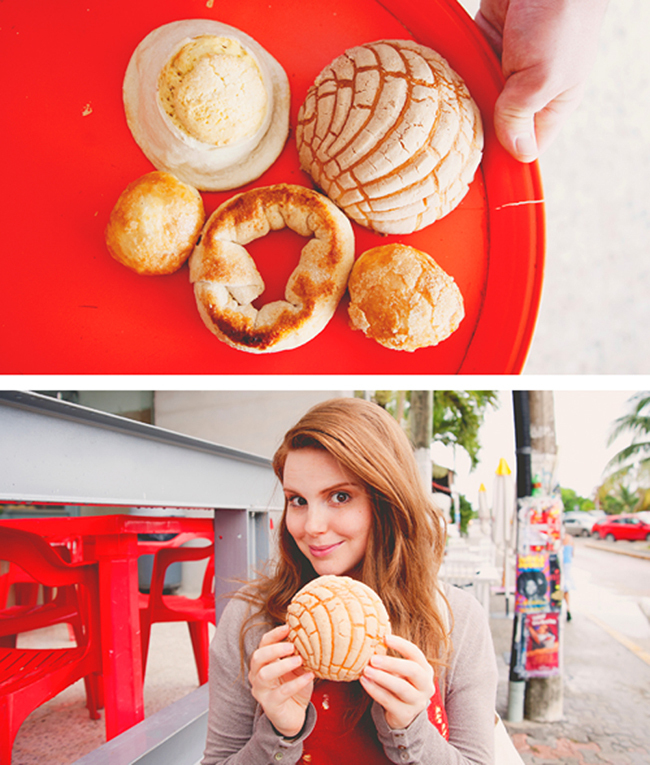 Pan del Carmen: There is nothing quite like a Mexican pasteleria. 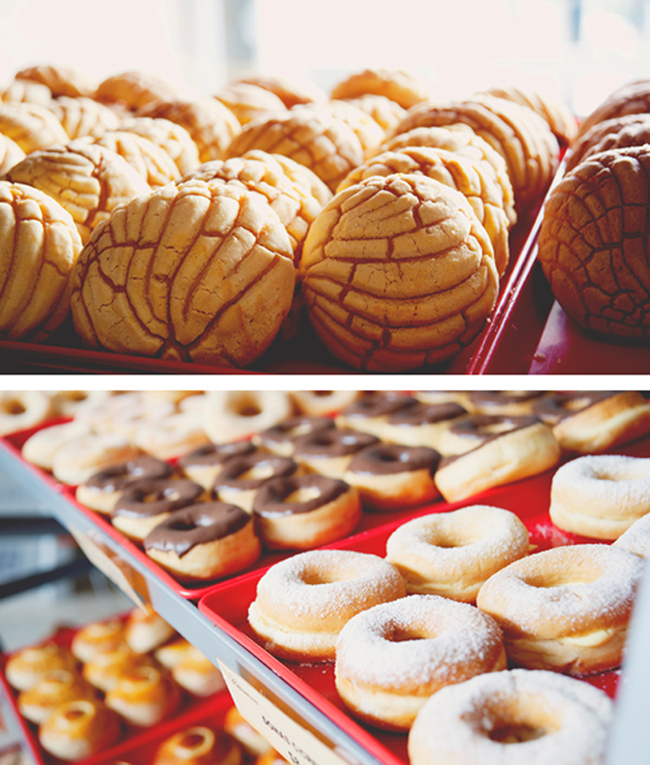 Conchas, donas, elotitos, whatever sweet thing it is that makes you happy, it?s probably here.? Like most Mexican sweet breads, the flavor and sweetness is subtle and the texture tends to be either flakey and crunchy or impossibly fluffy.? Almost all of them demand coffee as a companion.? I loaded up my tray and brought a ton back to the room to snack on for the next day or too. 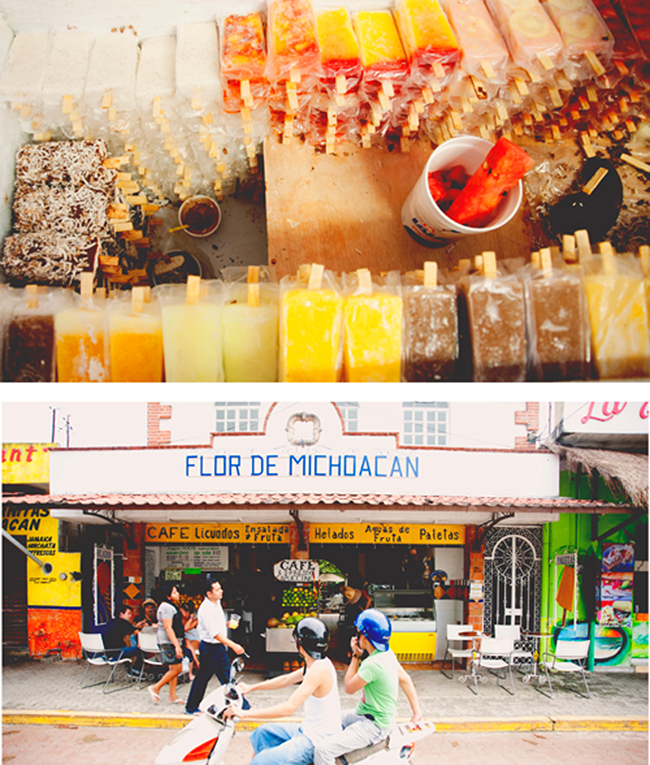 Flor de Michoacan: During a bout of particularly warm weather I felt a pang for paletas that would not be mollified until I had one stinging my lips and dripping down my hands. 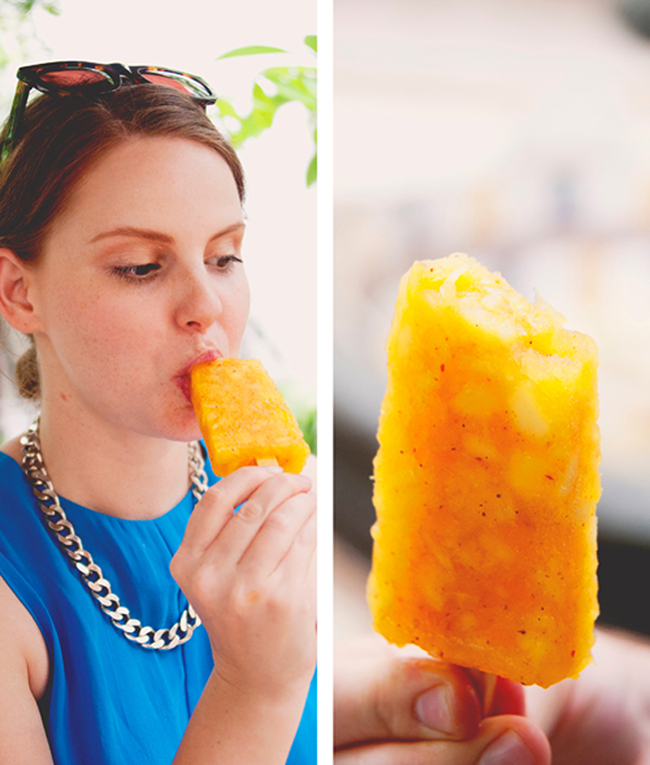 Flor de Michoacan delivered in the form of their pineapple and chile paletas, though the mango chile ones were fantastic too.? I tried a few creamy ones too (for science!) and Flor definitely excels at the bright, fruitier versions.